Dewe started out in financial PR in 1960 working for Philip Syrett, who had left ad agency J. Walter Thompson to run his own consultancy. Dewe co-founded Dewe Rogerson Group with Nico Rogerson in 1969, and over the following decades helped it grow into a leading financial and corporate PR agency. It achieved significant global scale, expanding in the 1980s and 1990s to markets including New York, Tokyo and Hong Kong. Citigate Dewe Rogerson was formed in 1998 with the merger of Dewe Rogerson and Citigate Communications under new owner Incepta Group. The agency was later sold to current owner Huntsworth. Dewe’s death comes almost two years after that of Nico Rogerson in 2017. Jonathan Flint, current MD at Citigate Dewe Rogerson, who worked with Dewe in the run up to the Incepta sale, said: "Roddy Dewe was a PR pioneer and hugely influential in creating the financial communications industry. "He had a brilliant and inquisitive mind and always a knowing glint in his eye with a wonderful sense of fun." Anthony Carlisle, who met Dewe in 1970 and was his partner in building Dewe Rogerson, said: "This is very sad news. Roddy was an original; very bright, with a charm that cut through. When others were waiting just to receive a press release, Roddy pioneered modern financial PR and saw it become an advisor with a boardroom seat. "The world, and in particular those who knew him, will be deeply sad to hear of his demise." 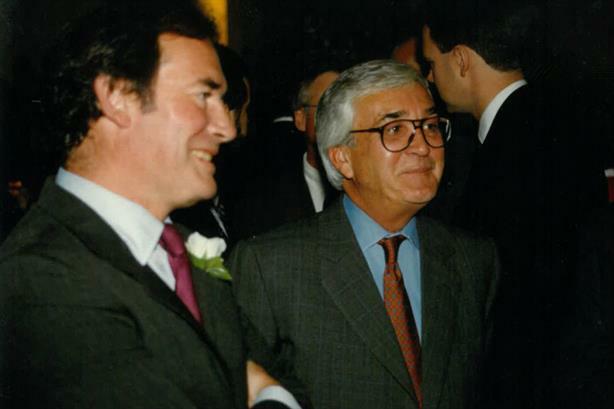 Lansons chief executive Tony Langham, who worked with Dewe between 1984 and 1989, described him as "one of the founders of the modern British public relations industry". Langham said that "as a pioneer of what became financial communications", Dewe "paved the way" for the success of Alan Parker and Roland Rudd, the founders of agency giants Brunswick and Finsbury respectively. He said Dewe Rogerson "helped make the privatisations of the 1980s possible and then successful – and contributed to most of the world privatising telecoms and utilities companies". Langham continued: "As an operator, [Dewe] knew everyone and knew how to fix things in his clients’ favour. "As a person, [he] had that charming, almost lost, trait of actually enjoying work and looking like he was enjoying it. He always had time for a drink or a smoke." Francis Ingham, director general of the PRCA, said: "Roddy Dewe was one of the PR and communications industry’s true leaders. He created a path for financial communications that many have followed – who can forget the iconic ‘Tell Sid’ British Gas privatisation campaign? He also achieved great successes in the international arena. He will be sadly missed."